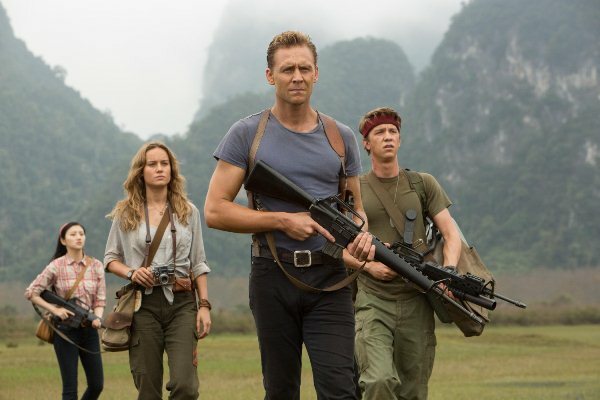 Kong: Skull Island with its star-studded cast including Tom Hiddleston, Brie Larson, Samuel L Jackson and John Goodman hits the theatres second week of march. Regardless of what film purists might have to say about it, I have got a very strong opinion on how there are only certain movies that should be watched in cinema. Well, fortunately for myself and for those who subscribe to this particular filmy quirk, we should be potentially psyched to bow down before our new cinematic overlord, King Kong, who is all set to hit the screens shortly. I believe this bold new take on the mythos of an iconic beast is precisely what cinema experience is all about. Going by genre conventions, this sort of a movie is supposed to be grand and by extension a moviegasm and a half. Kong: Skull Island reimagines the origins of one of the most iconic film gorillas of all time by telling the tale of a diverse team of scientists, soldiers and adventurers uniting to explore a mythical, uncharted island in the Pacific. Now, this particular band of humans acts exactly like humans do i.e. spreading anarchy. They start dropping bombs and Kong, the king who rules this island, takes no time in getting angry. Can we really blame him though? If a stranger happens to wander into my backyard and starts taking a dump, I would be like super pissed. In other words, the Big Monkey is justified in doing whatever he is supposed to be doing in the movie. But Kong simply fighting human beings doesn’t make for riveting cinema, even though they are trying their best to piss him off – frankly, that would only be as exciting as me trying to take out a bunch of ants at my place. And cue, enter a formidable adversary, Skullcrawlers. These are the monsters that dwell in a hole in the ground, a literal gateway to hell. So just how different this version of King Kong is going to be when compared to Peter Jackson’s 2005 version? 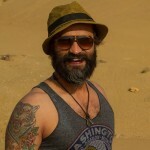 For starters, this ape is not the sort which could have the hots for Naomi watts. This one is freakin’ huge and ferocious to boot. From the looks of it, with its Vietnam War aesthetics, the film visually reminds us of Francis Ford Coppola’s fevered jungle dream, Apocalypse Now. It definitely has that early 70’s vibe to it. Watching the trailers, you can’t help but notice how the movie is so intense in places but then it looks like a quirky adventure comedy in others. It has got this bizarre mixture of dark and heavy but at the same time, it’s all whacky and funny. The promos are just tonally weird, period. It seems as if the marketing people at the studio – in order to make Skull Island more family friendly – didn’t really know what to promote. Famous actors – check; Kong – check; comic relief – check; monsters – check. Also, this is the King Kong origin movie that actually takes place in the same universe as the rebooted Godzilla, who made his debut in 2014. So don’t be too surprised to find the Giant Ape duking it out against the Big Lizard in their “versus” movie a little down the road, if this one does well. 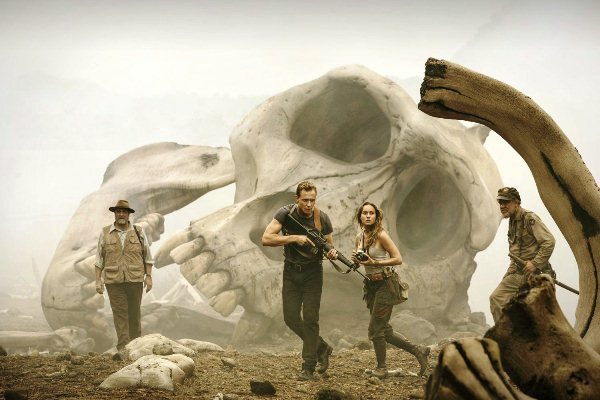 Sandwiched between the highly anticipated Logan and Beauty and The Beast, Kong: Skull Island with its star-studded cast including Tom Hiddleston, Brie Larson, Samuel L Jackson and John Goodman hits the theatres second week of march.